The AP3935i comes with an integrated eight port antenna array for ease of installation. The AP3935e requires professional installation and includes eight Reverse Polarity Sub-Miniature Version A (RPSMA) antenna connectors supporting both 2.4GHz and 5GHz band antennas. 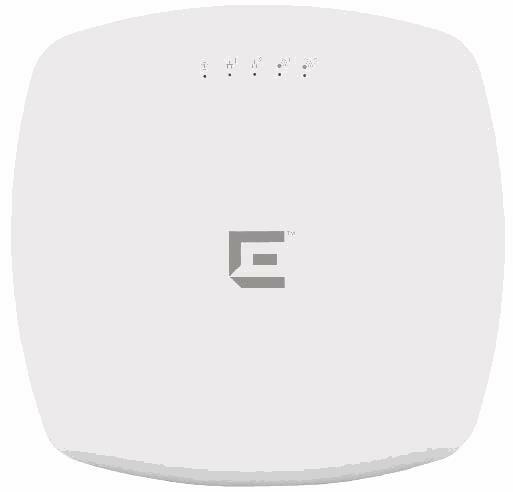 The AP3935 uses 802.3at Power over Ethernet (PoE+) for maximum performance and can operate within an 803.2af power budget with reduced performance. Ethernet ports support transparent power transition (POE Hot-swap). In case of power interruption to one of the ports the AP automatically transitions to the other port. No reboot or state interruption. An optional external power supply is available for deployments that do not support Power over Ethernet.